To some, she is known as the Forrest Gump of Wainuiomata. To others simply The Lady Who Walks the Hill. All Tania Rivers knows is that this hill has been her salvation over the past year. 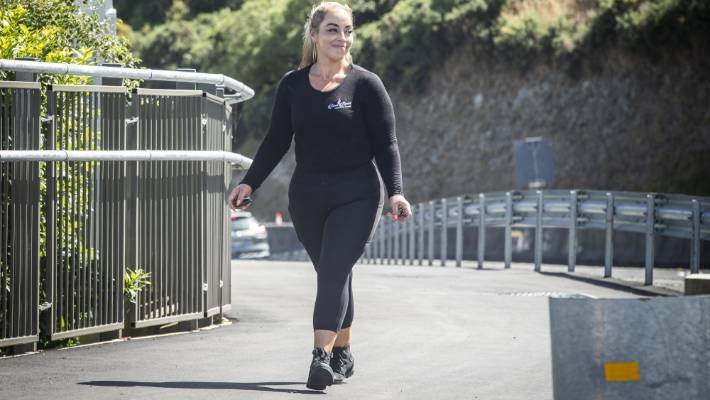 In the beginning, the 36-year-old mother of two planned to walk the route – 7km over the Lower Hutt hill and back – every day for a year, a tough enough goal for anyone to knock off. But by year’s end she had clocked up 528 missions up the incline. “I was keen to bank a few walks during the summer in case there were days in winter I couldn’t do it, but I never stopped and suddenly I was passing the 500 mark. “No matter how bad the conditions were, no matter how difficult the walk was, it was always easy compared to what I had been through,” she says. It had been a rough year for Rivers, who had been dealing with a volatile domestic situation that saw her seek shelter with her young children at a Women’s Refuge for more than a month. A car accident and homelessness only added to her challenges, but the hill was always there: A constant and non-judgmental companion. Tania Rivers has walked Wainui Hill 555 times in just over a year. She set out to do it as a physical challenge after a difficult time in her personal life. 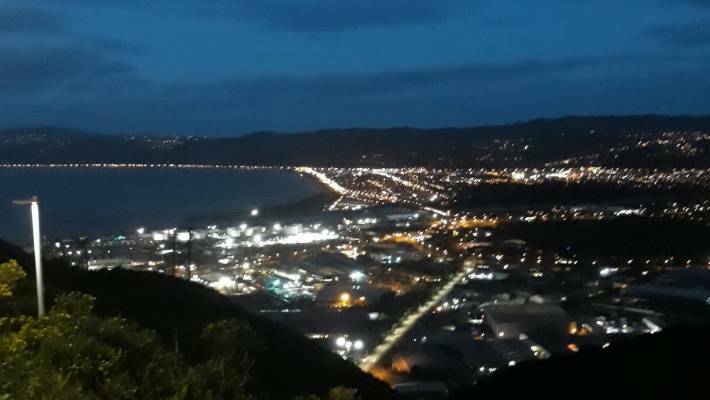 To date, Rivers has walked more than 3000km – that’s almost twice the length of New Zealand – walking over the Wainui hill 568 times. She is a familiar figure to commuters and other walkers. Before she even starts her ascent there are waves and toots from motorists she sees daily. “People would tell me I was mad. How could I go out there in the rain, the wind, the heat? A lot of people will wait for it to stop raining before they go outside but to me it is about feeling all those sensations. The wind, the rain, the fog – those elements make the walk all the more interesting, says Rivers. Every walk is unique. Some days she would be in her own head, thinking, planning her future. Other days she would get to the top, where she would religiously take her daily picture of the view from the hill, and have a good cry. The council workers building the new footpath over the hill are her daily companions. They shake her hand when she goes past them. On the hot days they offer her a cool cup of water. Some days it was tough getting up that hill ‘but I’ve never regretted it’, says Rivers. They were there when she had a close call with a landslide after a particularly bad storm. “I was walking along when I suddenly heard this rumble and I looked behind me to find a huge amount of dirt and rubble falling down the hill, covering half the road. It missed me by about a centimetre. One day she came across a young boy who was walking over the hill on the wrong side, determined to get to his mother’s workplace. “His parents didn’t know where he was so I ended up walking him home. I told him the right side of the road to walk next time, though there shouldn’t be a next time, I warned him. 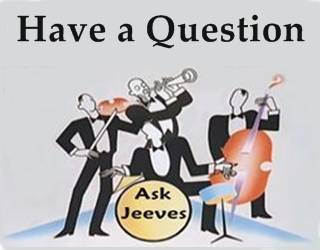 “He said he had driven past me many times and wondered who I was. I get that a lot. One of the most memorable interactions was with 10 ducklings which she discovered were following her down the hill after their mother had been run over. Occasionally, Rivers, a personal trainer, has company on her walk though mostly she does it alone. But there are others up that hill. She points out a woman ahead of us who gets dropped off at the top and walks down with her dog. Ten years ago Rivers weighed 153 kilos. After splitting with her husband she joined a gym determined to shift some weight, get her head in order, start over. But while the weight dropped off – all 75kg of it – the excess skin remained. Her personal trainer suggested she work weights to fill that skin with muscle. Not one to do things by halves, Rivers got into powerlifting. 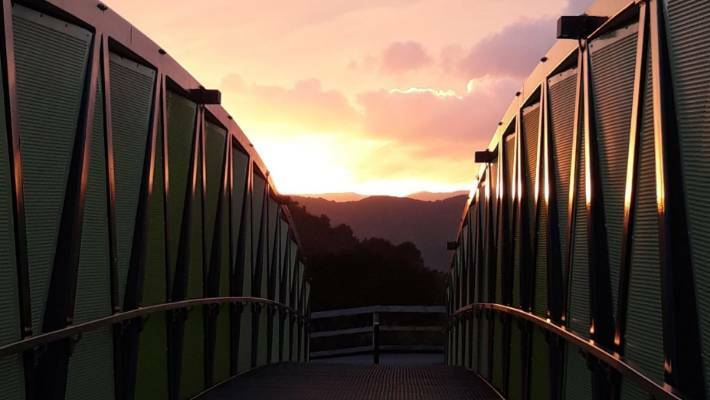 The overbridge at the top of the Wainuiomata hill. But the strain of the weights eventually took its toll, crushing her spine and leaving her debilitated and needing surgery. She managed to postpone the operation so that she could sit the final exam for her diploma in exercise science, which she passed despite, or in spite of, the pain in her back. Resilience runs deep in Rivers. It’s been there ever since she can remember, though where it comes from she doesn’t know. 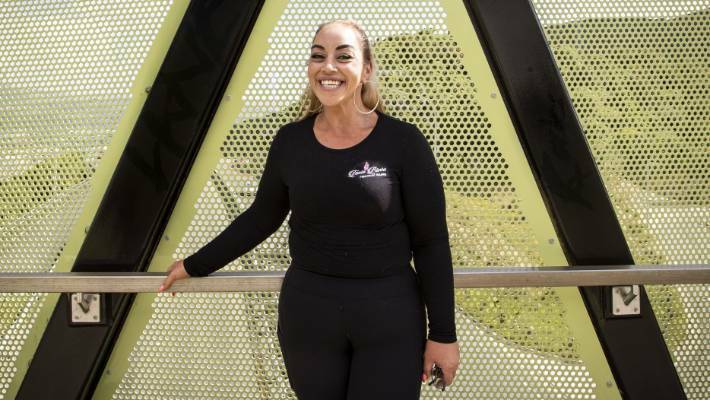 Her next goal is to raise $50,000 for an operation to shed the excess skin she has following her enormous weight loss over the past decade. And the hill she is so familiar with will be part of that when she begins her 24-hour walk-a-thon on February 15. Her plan is to walk over the hill as many times as it takes over 24 hours, stopping only when someone else can do a stint while she has a short break. The operation to remove the skin might sound like vanity, she says, but it’s so much more than that. The 24-hour walk will mark the end of her daily ascents. But the hill has given her much more than she bargained for. “There were days I didn’t think I had the energy but I had built this ritual into my life – it was like brushing my teeth, something you do every day. “There has not been one day when I have regretted getting to the top. “There were some days I felt like I was going to be blown off that hill, or washed down it. “But I kept reminding myself that if this is the worst the hill can throw at me, it’s really nothing compared to other struggles I’ve faced. It’s 8am and Rivers hits the bottom of the hill. That’s number 555 she’s just knocked off. She passes the woman walking with her dog who embraces her, wishes her a Happy New Year. “Bless you”, she says.